1) Mix ragi, water and salt in a bowl. Remove any lumps. 3) Repeat step 2 in intervals of 1 minute twice and 30 seconds twice. 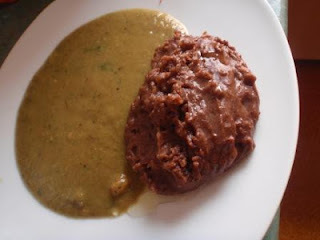 4) Check if the mudde shakes like jelly, else mix and place in microwave in intervals of 30 seconds until done.